Ever since our CEO and Founder of PINC International, Lisette Miranda, immersed herself in the sights, sounds, and flavors of Madrid, Lisette has had her heart stolen by the city’s electrifying culture. Having lived within the capital for five years, Lisette has become a wealth of knowledge on Madrid’s culture, cuisine, and history. 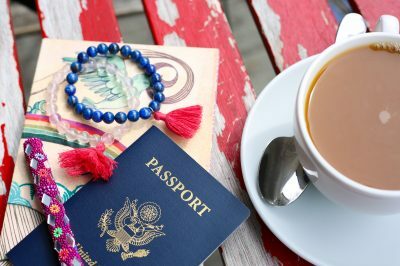 At the PINC family, with our hungry hearts and wandering feet, we’ve asked Lisette to divulge her insider tips and secrets. Below, we’ve compiled a list of Lisette’s Madrid recommendations that captures the breadth and romanticism of the city. 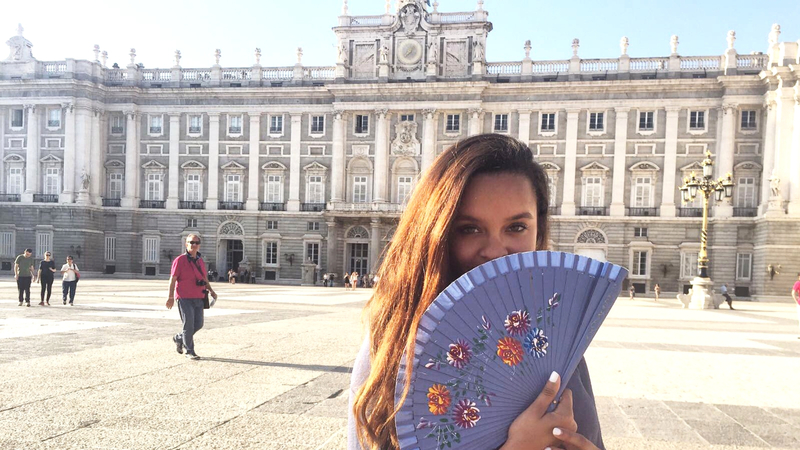 From the best place to view the Madrid sunset, to hidden rooftop gardens, Lisette spills it all. So if you find yourself in our city, lost, confused, overwhelmed, or all three, check out our blog! Devour Madrid offers award-winning food and culture tours by providing the best authentic experience. 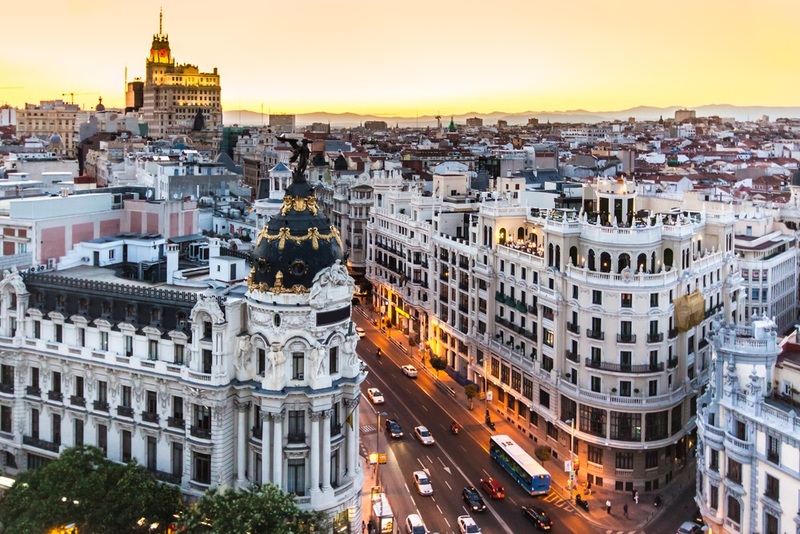 By serving the best local food, Devour Madrid creates intimate connections between travelers and their beloved city. At Devour Madrid’s tours, it is more than just tasting good eats, it is about devouring Spanish culture. Stories are told through local people and food, creating a memory to remember Madrid by forever. Food is only just the beginning, where the sights and smells of Spanish cuisine opens doors to learn and understand Madrid’s culture. Their tours bring Madrid to life by recounting the city’s history, celebrating tradition, and uncovering the authentic Madrid experience. Strapped for cash yet hungry to explore? SANDEMANs NEW Europe tours tips-based FREE walking tour allows everyone the privilege to experience the high quality of a world-class tour. 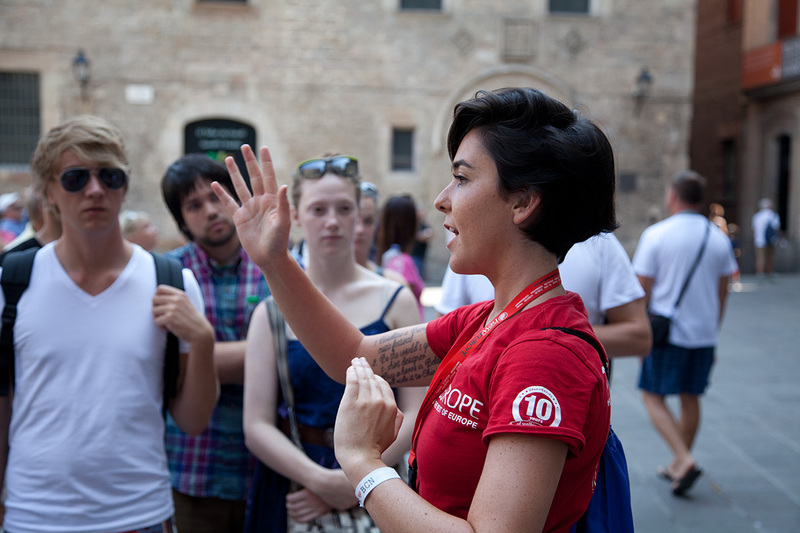 Lisette’s favorite walking tour provides authentic, exciting, and informative walking tours provides an authentic experience with guides that grew up in Madrid. Their unique style of infotainment (mixing history and charismatic storytelling through the guide’s own personality and flair), captures the vibrancy of the Spanish spirit. Through this method, SANDEMANs NEW Europe tours, has easily become one of the most popular tour companies within Madrid, Spain! Explore the highs and lows of Madrid’s colorful past by choosing tours as widely ranged as “The Madrid Tapas Experience,” to “The Spanish Inquisition Tour.” You’ll definitely leave the tour with a new perspective of the city, energized, and hungry to learn more! Visit the The Royal Tapestry Factory, one of the only two royal tapestry factories in the world. Since its inception at s. XVIII, the Royal Factory has diligently conserved the Spanish textile tradition for future generations. Within this living museum, visitors are given the privilege of viewing master weavers immersed in their craft. In promoting the art of upholstery, not only are visitors are offered a glimpse of the process of creating tapestry, where they can both view the weavers at work,visitors are also able to view old works of the Royal Tapestry Factory. Intricate, breathtaking, and provocative, the work within the Royal Tapestry transports visitors into another era, paying homage to this ancestral craft. Winding down after a long day of exploration? Need a place with good eats overlooking the horizon as the sun fades? Check out Dear Hotel, located at the heart of Madrid, offering 360 degree views of the Gran Via, Casa de Campo Park, and Plaza de Espana. Dear Hotel boasts not only the best rooftop to enjoy Spain’s sublime sunsets, but a Sky Pool to cool down after a balmy summer day. After the gallery conversation on Picasso’s Guernica, enjoy a coffee and head over to view the work of the great Salvadore Dali. 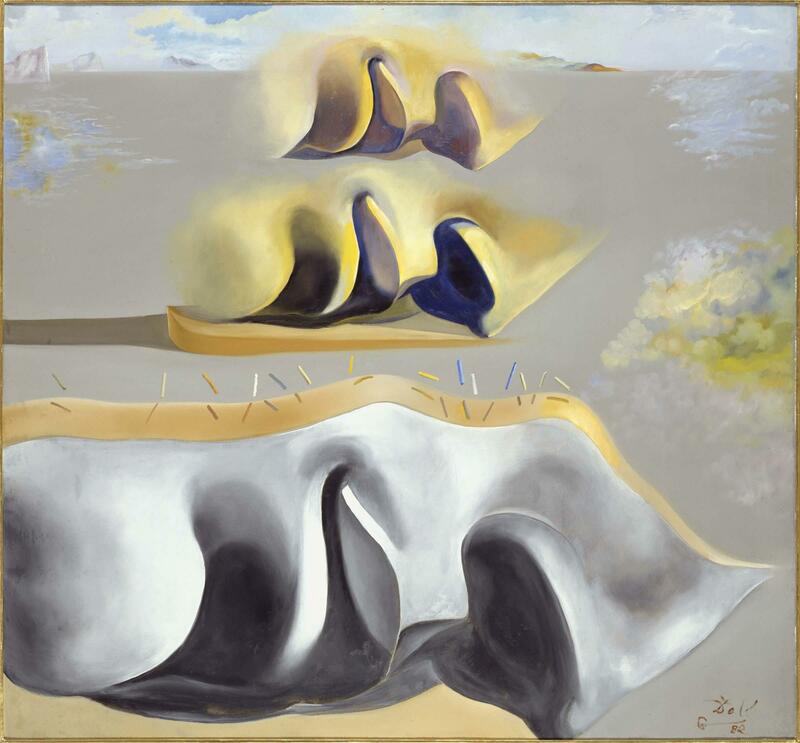 Famed for his surrealist paintings, Dali’s paintings subverts reality and challenges imagination. Don’t miss out on such a pivotal and influential mastermind and be sure to check out his pieces such as Endless Enigma, and L’homme Invisible. 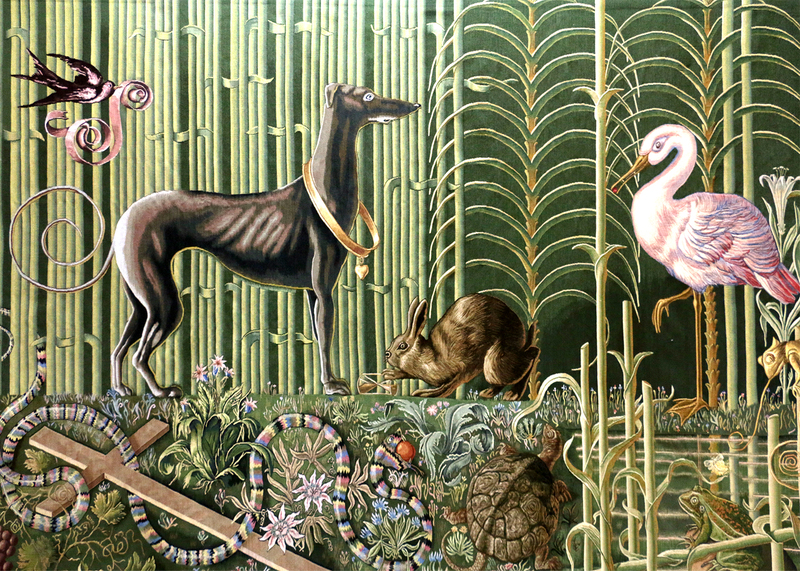 Deviously deceptive and difficult to discover, Jardin Secreto Salvador Bachiller, is a secret treasure hidden in plain sight. Located on top of the Salvador Bachiller, an unassuming shop that sells luggages and knick knacks, follow the escalators all the way up to the top floor. The summit of the building reveals a secret rooftop paradise. its as if you fell down the rabbit hole and emerged in an enchanted garden, where hanging ivy leaves and reaching flowers thrive and swallow the enclosure in a cocoon of greenery. 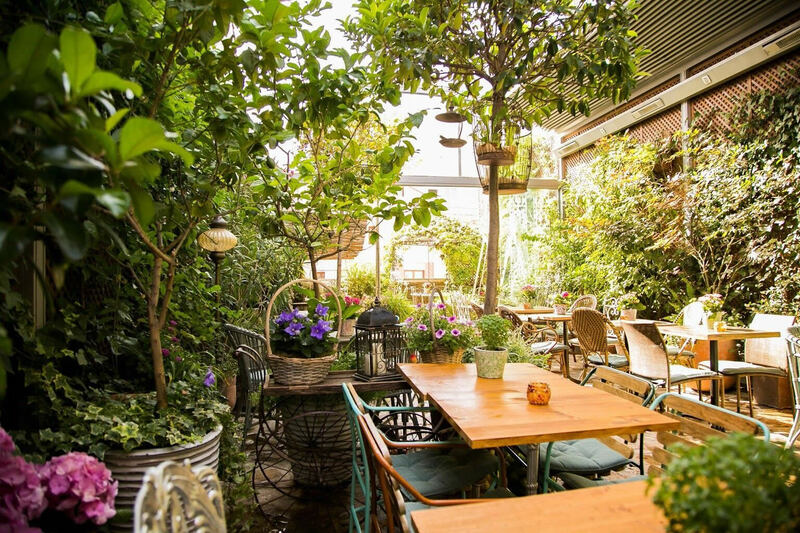 An oasis hidden within the bustling streets of Madrid, quirky cocktails and steaming coffee are always served to quench your thirst and delight your senses. Visit the Museo del Prado, Spain’s main national art museum that boasts one of the world’s finest collections of classical art. The museum is home to 8,200 drawings, 7,600 paintings, 4,800 prints, and 1,000 sculptures–a whole lot of art to feast your eyes on! 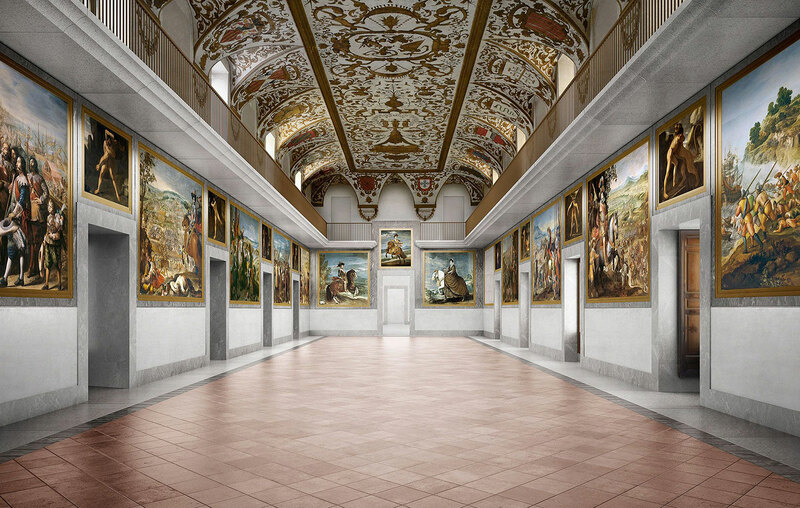 After all these years, Lisette still has yet to completely finish exploring the museum, and she recommends that coming in prepared and with a plan is the best advice she can offer when tackling the Museo del Prado. A long avenue that cuts through the town, the Gran Via, literally translated to the “Great Way,” is a vibrant and bustling street and one-stop-shop for all your commercial needs. Spanish designers of both street fashion and high fashion, are located conveniently next to another at the Gran Via. Feel a little more stylish in Spain by visiting international houses such a Chanel, Dior, or pay homage to Spanish flare by visiting El Core Ingles. 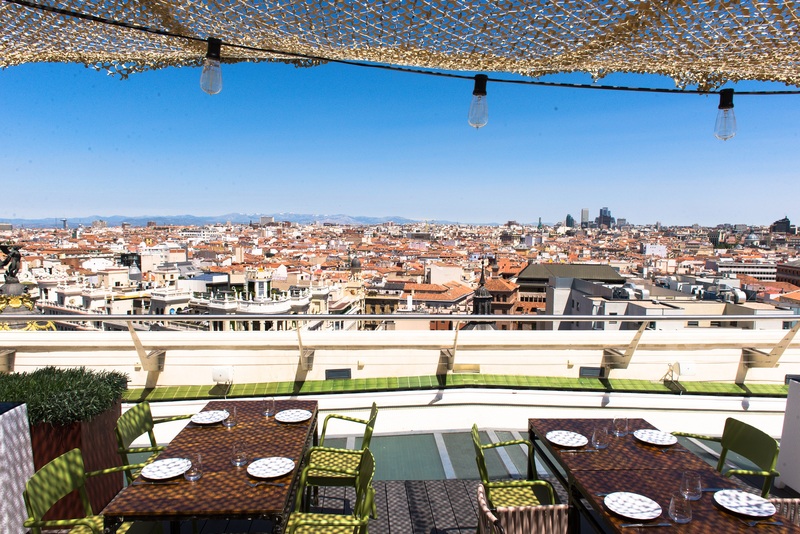 Relax and enjoy a drink at the rooftop bar of Circulo de Bellas Artes. With a fee of four Euros to experience a 360 degree panoramic view of Madrid, the price is well worth the exchange. Located in Barrio la Latina, one of the oldest neighborhoods in Madrid, la Cava Baja is one of the most energetic and charismatic neighborhoods in Madrid. With a character as colorful as the buildings lining its street, La Cava Baja’s energy extends to its nightlife, where most bars open after 7PM, except on Sundays. On Sundays, bars open earlier, where Lisette urges is “the place to be” from noon onwards. Where cocktails are served with the best and most popular tapas, La Cava Baja will have you love struck with its beauty and charm. 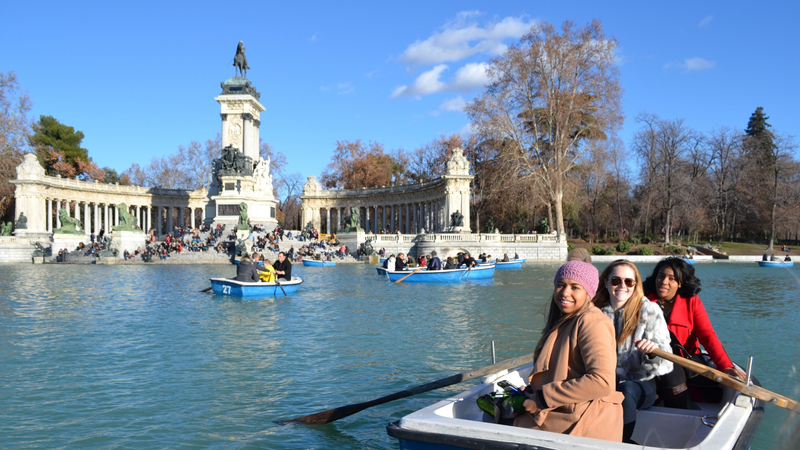 Directly translated to the “Park of the Pleasant Retreat,” Buen Retiro Park lives up to its name with serene boat rides around the lake, glass castles, and rose gardens. The shimmering glass palace, Palacio de Cristal, houses temporary exhibitions that capture one’s imagination. Through the Rosaleda Garden, you can view the only known public monument of the Fallen Angel, Lucifer. Be sure to take it easy and stroll through everything the park has to offer with their glittering palaces, provocative paintings, and historical statues. 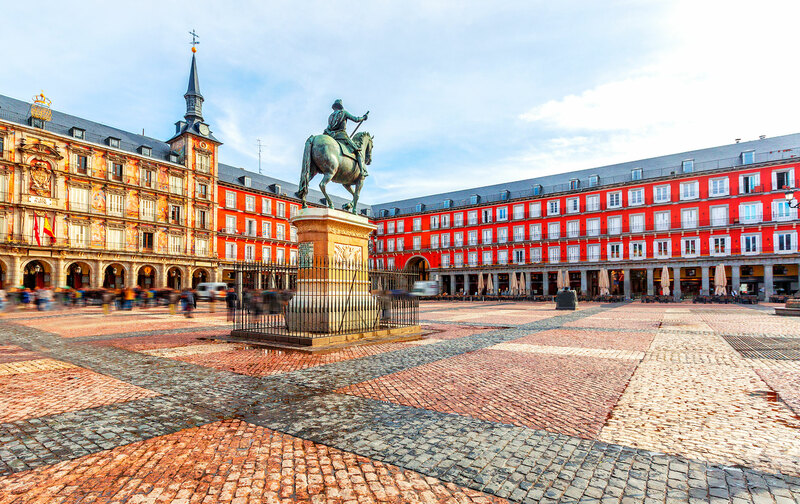 Located at the heart of Hapsburg Madrid, Plaza Mayor is Madrid’s main square bustling with both tourists and locals alike. Cafes, restaurants, and bars, line the edges of the square, with the bronze statue of King Phillips III piercing the sky at its center. Lisette recommends that the best way to enjoy Plaza Mayor is with a coffee or drink on hand, plop yourself somewhere outside of the Museo del Jamón, and people watch. A magnificent building, the Royal Palace of Madrid paints an impressive picture of Spain’s rich history and prolific influence over the Western world. Dripping in opulence, the baroque structure of the Royal Palace houses approximately 3,000 rooms, including the Painting Gallery, Royal Kitchen, and Royal Armoury. The Royal Armoury boasts one of the most significant collections in the world, exhibiting weapons and armor worn by kings of Spain and nobles since the 13th century. Though it is a spectacular day trip, due to the popularity and foot traffic received at the Royal Palace, Lisette warns that waiting times to tour within the building stretch as long as three hours. And once inside, one is privileged to view only a handful of rooms amidst the 3,000 within the palace. Churros and chocolate. Enough said. 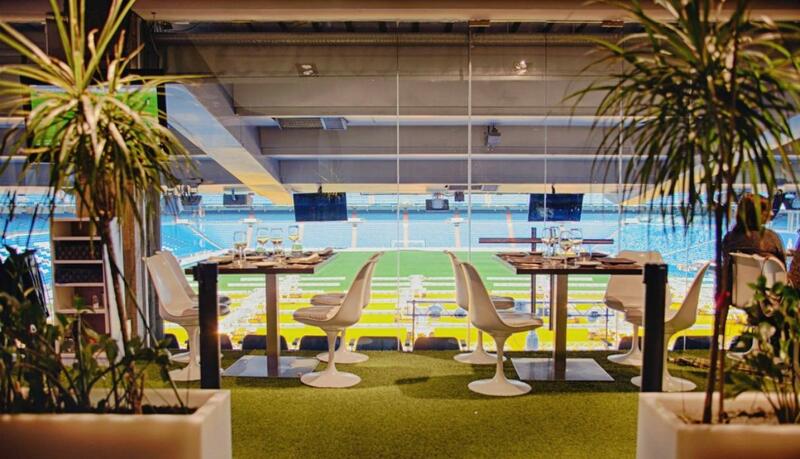 Real Cafe Bernabeu nestled within the Real Madrid Stadium, offers the perfect view of the football pitch. 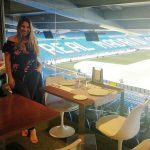 Enjoy a cup of coffee and tapas as you overlook the grandiose space of the stadium. Both as a fan or merely a visitor, Lisette recommends taking a walking tour around the stadium to fully appreciate Real Madrid’s home field. We hope this lists helps make your trip to Madrid magical. Please share this list with friends and family who are visiting, and don’t forget to share pictures with us!